Correct answer:- (+)4; Incorrect answer:- (-)1/4. Exam paper comsist of objective type questions. Total no, of questions differs as per the courses. Mode: OJEE 2019 examination will be conducted in offline (pen-paper) mode. Duration: The total time duration for OJEE 2019 exam is 3 hours. Number of Questions: The total number of questions appearing in the OJEE 2019 examination is ninety. Type of questions: The OJEE 2019 Question paper will come in MCQ format and will have 3 sections. Optional questions: The OJEE 2019 candidates are not required to answer all the questions. Schema: Every question comes with 4 marks and each wrong answer gets a negative marking of 1/4 mark. Note: In case you choose to skip answering a question, there will be no negative marking. Candidates are requested to go through the previous year sample papers for a better picture of the exam pattern. The table mentioned below provides an outline of OJEE 2019 Exam Pattern and Marking scheme. The number of questions varies on the basis of courses opted for. There are 3 different sets - 60, 90 and 180. 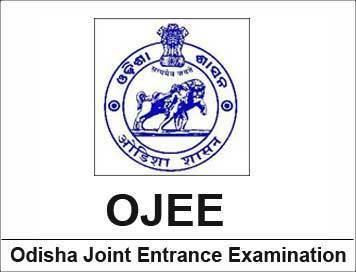 OJEE Examination Centre gates will be opened 45 Minutes before the scheduled start of the examination. No applicant will have access in the hall one examination starts. Mobile phones or any electronic device are not allowed inside the Examination hall. Students are not allowed to bring any charts/papers/tables to the examination hall. Students must thoroughly inspect every page and report to the conducting authorities immediately. Yes, for every wrong answer one mark will be deducted. Will the OJEE exam have descriptive type questions? No, the OJEE exam will have multiple choice questions. Is the duration of the exam same for all branches? hey, I wanted to know the duration of the OJEE 2017 exam? There are 3-time slots for exam duration 1, 2 and 3 hours depending on the courses. You will be informed about your particular exam's duration once you have applied and ready to go. Is OJEE a online exam ? Can OJEE be taken up online ? No OJEE 2017 is an Offline exam. You will have to apply online but the examination will take place at a test center specified. What is the marking for OJEE exam? What is the duration of the OJEE exam? The OJEE exam time is a span of 3 hours for 90 questions. What is the exam pattern for M.plan? The OJEE 2017 paper will come in MCQ format and will have 3 sections. The candidates are required to answer all sections. Every question comes with 4 marks and each wrong answer gets a negative marking of 1/4 mark.In case you choose to skip answering a question, there will be no negative marking.